Can't wait for your review on Sarah's Key! I just received that from my book blogger Secret Santa. I like your list of books. I think that I would like to start reading the books by Steig Larsson. How are you liking the second book? A wide variety of books are in your list. I like that! I've read The girl With the Dragon Tattoo and am looking forward to The Girl Who Played With Fire! Happy reading, you have some great books listed here. I was just mentioning The Christmas Train by David Baldacci on another blog. I thought I'd read it, but for the life of me I can't remember. I really need to check and see. Steph - My review on Sarah's Key should be up Tues or Wed.
Deanna - I think I'm going to like the second book, but I haven't gotten very far yet - just haven't had time to sit and concentrate on it! Great books!! I've heard lots of good things about The Girl with the Dragon Tattoo! I love Richard Paul Evans! 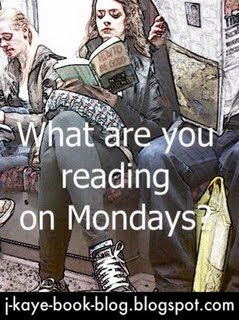 That is a ton of books and can't wait to see what you have to say about Sara's Key, have a great week.